Kissimmee, FL – In its first season, Utica City FC has clinched the Eastern Division Regular Season crown with a 7-6 victory over the Orlando Seawolves. 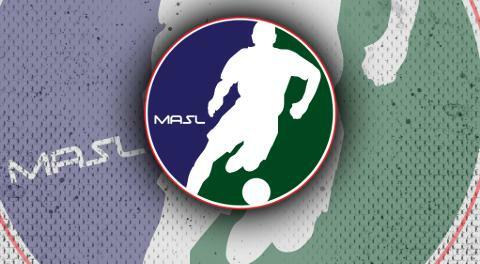 This is the first time in MASL history that the title has been taken from the Baltimore Blast. Jake Schindler and Lucio Gonzaga scored two goals apiece, and Bo Jelovac chipped in with a goal and assist. The game in Orlando began when Joey Tavernese opened the scoring for City with his 20th goal of the campaign. Schindler added his 4th goal of the season to give the away side a 2-0 advantage after the first quarter. In the second quarter, Schindler doubled his goal tally with an unassisted strike to give City a 4-1 lead. The big defensive powerhouse turned defense to offense after he dispossessed Orlando and lumbered down the turf for the strike. Utica took a 4-1 lead into the second half. In the third, Orlando closed the gap to 4-3 before Jelovac and Mauricio Salles gave Utica breathing room at 6-3. Gonzaga added his second to extend the Blues' lead to 7-4 before two Orlando goals forced Utica to sweat out the final moments of the game. Utica City will square off against the Baltimore Blast in the Eastern Division playoffs. The first game of the series is scheduled for April 20 at the SECU Arena before Utica returns to the blue turf of the Adirondack Bank Center April 22. Kick-off for the home tilt against Baltimore is at 6:30 p.m. Tickets are still available at www.empirestatetix.com.